Go to your campaign in the dashboard and click "Story" in the Campaign Manager. 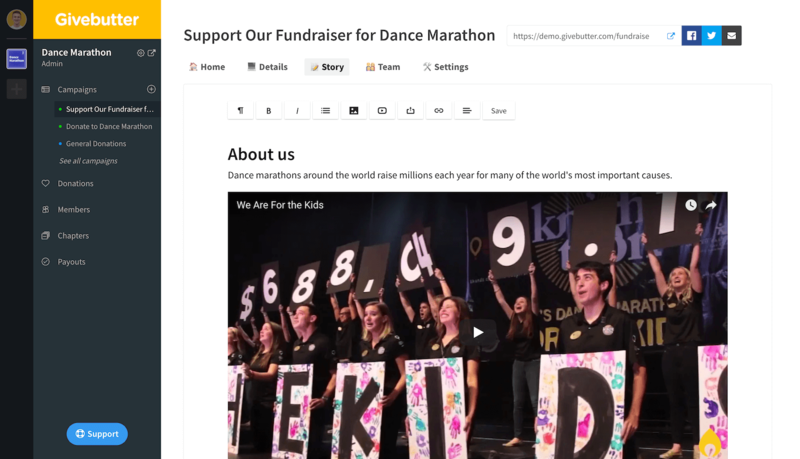 From there, you can add text, images, or embed content such as videos. Anything you change will save automatically. Please note that this feature is only available for Fundraise and Events campaigns.